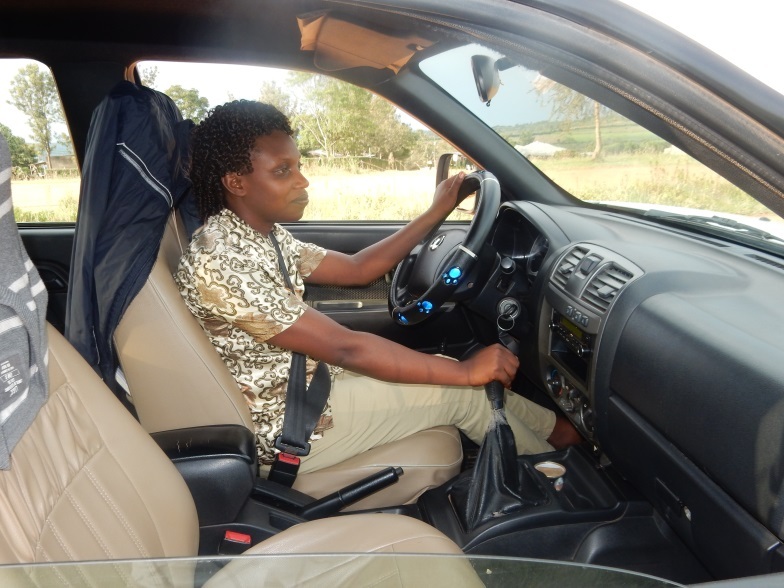 Victoire Nyirarukundo is the PMI AIRS Project’s first female driver. As the President’s Malaria Initiative Africa Indoor Residual Spraying (PMI AIRS) Project works to protect people from malaria across 17 countries in Africa, it also aims to be an all-inclusive workplace by promoting equal opportunities for women and men. During the February 2016 indoor residual spray (IRS) operations, AIRS Rwanda continued to implement the project’s gender inclusion policy, which was established in 2015. In 2016, 28% of AIRS Rwanda seasonal workers were female seasonal workers. 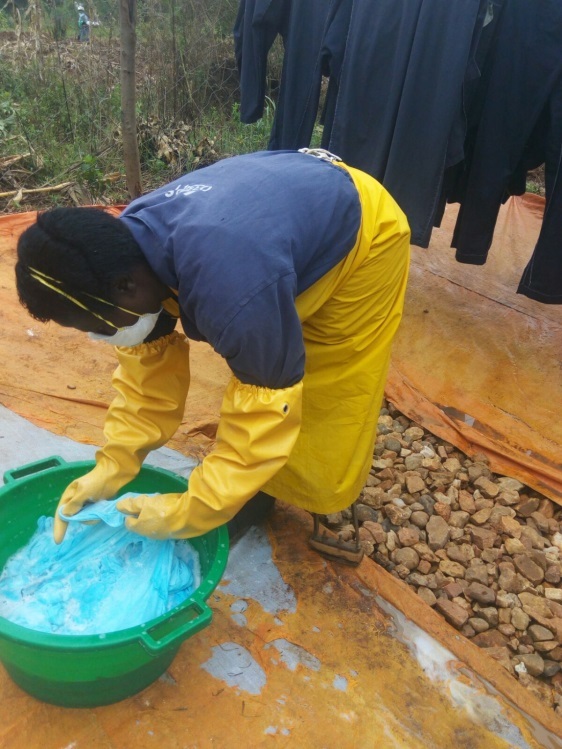 Among those workers, AIRS Rwanda employed the PMI AIRS Project’s first female driver and the first female washer with a physical disability to support spray operations. Although women in Rwanda increasingly are making their way into all levels of government and in the workforce, there remains a perception that some jobs are only for men, particularly the role of a driver. AIRS Rwanda is working to change that perception and aims to have at least 30 percent of its drivers for spray campaigns be women. Nyirarukundo said she is grateful to the PMI AIRS Project for its advocacy to hire female drivers and encouraged other women to feel confident and lay aside cultural beliefs that limit them from some professions culturally thought to be men’s jobs. The PMI AIRS Project also promotes equity in the workforce among those with disabilities. Juliette Mukabusoro, who has a physical disability due to the loss of her leg, was hired as a washer in Rwanda’s eastern Nyagatare District. Mukabusoro said she was very happy to be given the opportunity to support IRS because it showed that AIRS Rwanda opens doors to everyone, including women with a disability. She added that through the opportunity to work on the project she would be able to earn an income and thus meet her family’s needs.